Join Indian Army in Uttar Pradesh & Uttarakhand. Army Recruiting Offices (AROs in UP & UK) under HQ RTG Zone Lucknow published Upcoming Khuli (Open/Direct) Sainik Bharti Rally Chart/Schedule for Uttar Pradesh & Uttarakhand from April/July 2015. 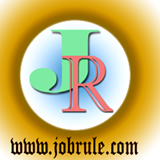 Indian Army Soldier General Duty-GD, Soldier Clerk/Store Keeper Technical (Sol CLK/SKT), Soldire Tradesman, Soldier Nursing Assistant etc. 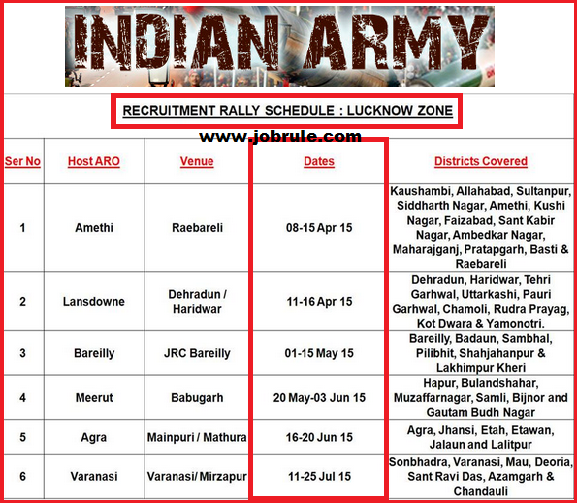 Indian Army Recruitment Rally Chart (source official website of Indian Army) for Uttar Pradesh & Uttarakhand April-July 2015. Like our Jobrule Facebook Page to get more details . We will publish ARO wise full program chart on our website shortly. Keep touch with us. Have a great days ahead. Best of Luck !